Hello there everyone! Sorry for lack of post yesterday! I really wanted to get something up but time just didn't allow, but hey did ya notice? The site got a face lift! I am loving the new look! I know I said this last time and the time before that, but I really like this look more than past ones. The colors really seem me which makes me happy! So today for you I have a beautiful polish to show you that actually goes with the new look!! 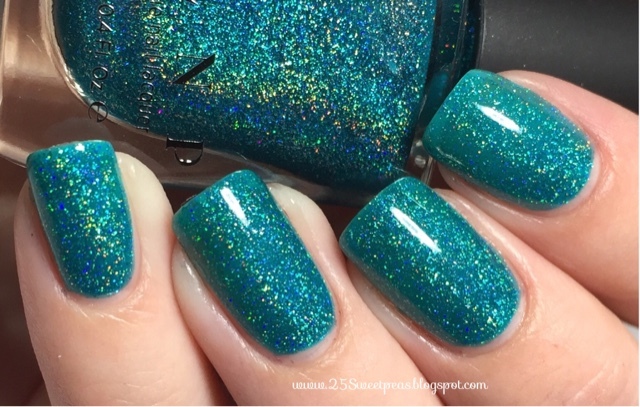 :) Meet Harbour Island by ILNP. Its down right stunning! I'm in love with it. The pictures really don't do it justice! This polish is going to match my outfit for a concert tonight that I am super excited about! Getting to see my favorite band and it's been way to long since I have seen them last! 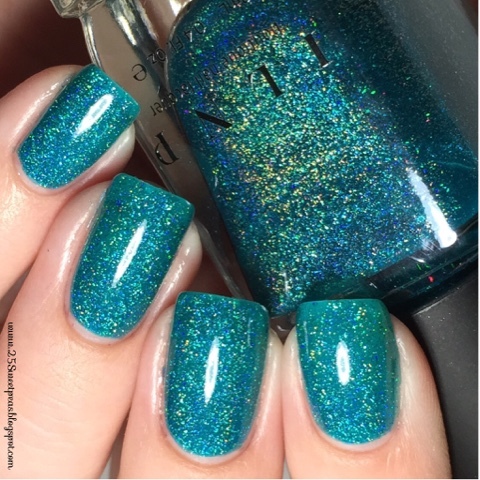 This polish will just look great with all the flashy lights at the concert! I recently saw that you can use the Zoya Naked Manicure Treatment with color! So I am trying it out by using the base as my base for this look. Will be interesting to see if it does any good. My hand that yall see daily looked good to begin with so we will have to wait and see!! Well that is all for today's post! There will be a video up showing you this lovely in action. It may or may not be up today! Not sure where I will have wifi! So you will at least see it tomorrow at the latest! :) Hope yall likes these as much as I did/do! Takko Lacquer CosmoProf Color 2015 Take 2!